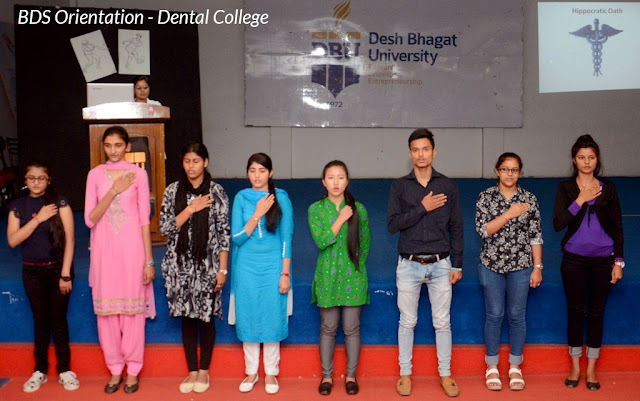 Desh Bhagat Dental College & Hospital held Orientation Programme for the First year students of BDS Class. The objective of the programme was to acquaint the students with the academic and training facilities available to them in the campus. 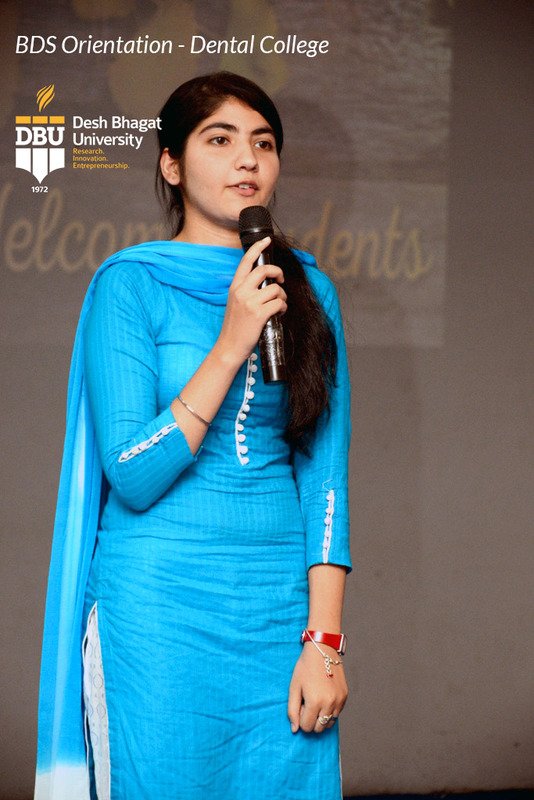 Before the programme, to bless the students and motivate them to use their energy in positive way, Path (Recitation) of Sri Sukhmani Sahib was held in the campus. Students and all the members of the teaching and non teaching staff participated in it with religious fervour and devotion. On this occasion, Kirtani Jatha presented soul-warming recital of Baani. Later, the orientation programme was inaugurated by Dr. Zora Singh (Chancellor, Desh Bhagat University and Chairman, Desh Bhagat United) by lighting the ceremonial lamp. All the students and members of the staff joined Sarswati Vandna and participated in this highly educative and informative programme. Speaking on the occasion Dr. Singh, welcomed the students and said that they are going to start a new chapter of life so they have to work hard right from now to achieve their goals. He advised the students to inculcate the values of hard work, commitment and dedication. At the same time, they have to keep themselves away from bad habits and bad company. He also warned the students against the evil of ragging and said that it is an offence which is punishable under law. 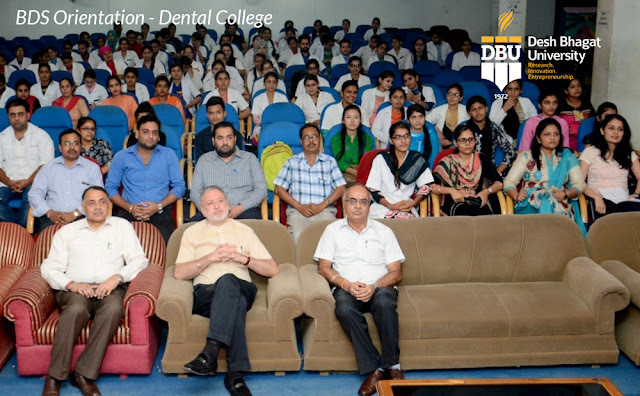 Vice-Chancellor Dr. Virinder Singh wished the students bright careers and conveyed that the institution will provide all available opportunities to the students for their overall development and they have to take the benefits available in the campus. Principal Dr. Rajiv Bali while welcoming the students said that they will find best possible facilities here for their overall growth and development necessary to make them time-relevant and market-relevant. He informed the students that if they have any query, they should not feel shy and contact their teachers without any hesitation. 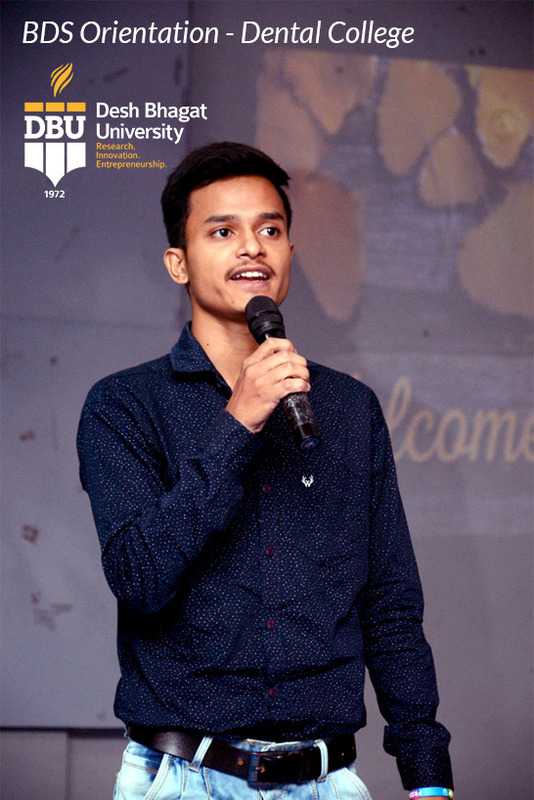 New students were invited on the stage to show their talent and entertain the august gathering present in the Seminar Hall and the students were inspired to take part in social, cultural and other activities as well. Faculty members also shared their views with students. 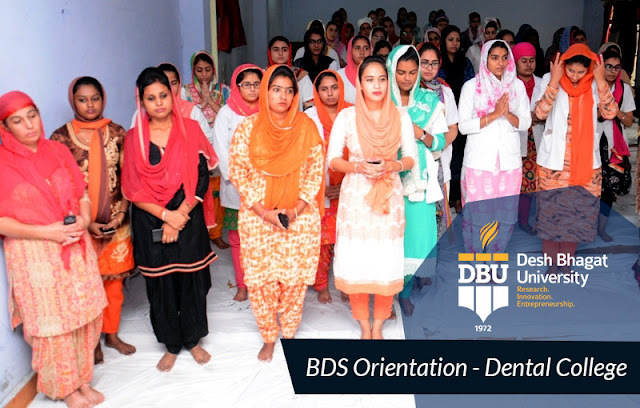 The induction programme was highly enjoyed and was appreciated by the students and their parents who expressed satisfaction to feel that their dreams will be fulfilled. 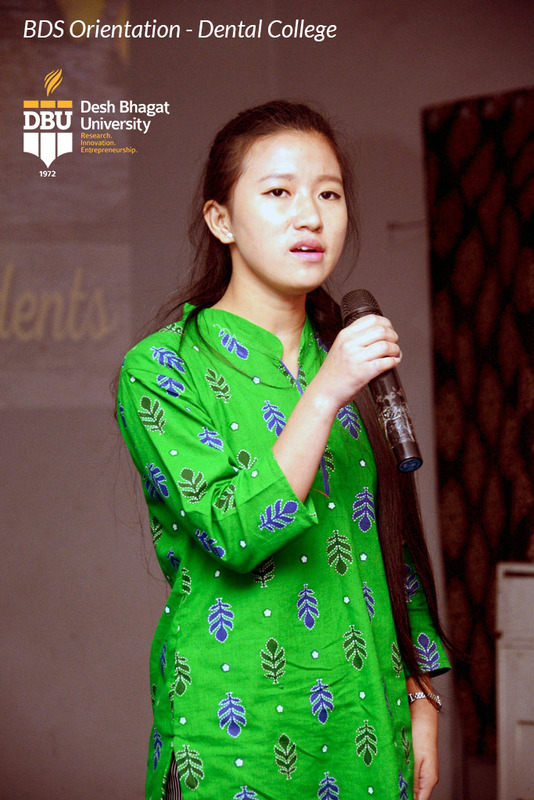 Students were also shown a motivational film to perform better in academics as well as other fields of life.